Well, here I am writing my first tentavive post! As you already know, when we moved onto our land 5 years ago, it was literally just fields, and very wet fields at that! What was going to grow in such conditions? Willow… perfect, but there had to be more. We wanted herbs, so a way forward was the ‘no dig’ herb garden. This involved strimming an area of grass close to the house, removing the cuttings, laying thick wads of newspaper or cardboard, wetting them and laying the grass cuttings back over the wet paper. This creates a thick mulch that if left for just a few weeks will break down and give you the most gorgeous soil. I planted a few herbs and was astonished when I found worms already at home in the new soil! The worms come up to the surface of the soil to drag the rotting matter down … in effect I had created a wormery! We now have a decent selection of herbs of which we can use fresh during summer or, dry them in a warm place for storing for winter use. 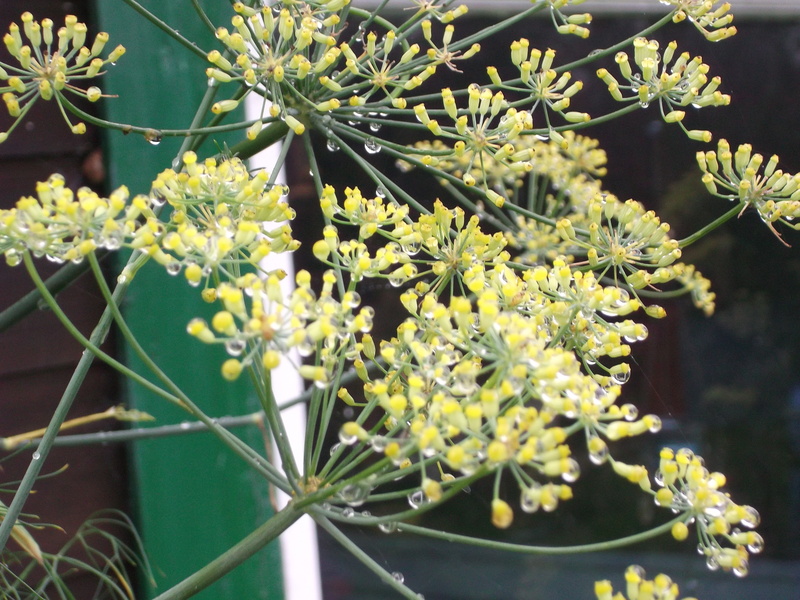 I love drying herbs in the kitchen and collecting seeds such as coriander and fennel. 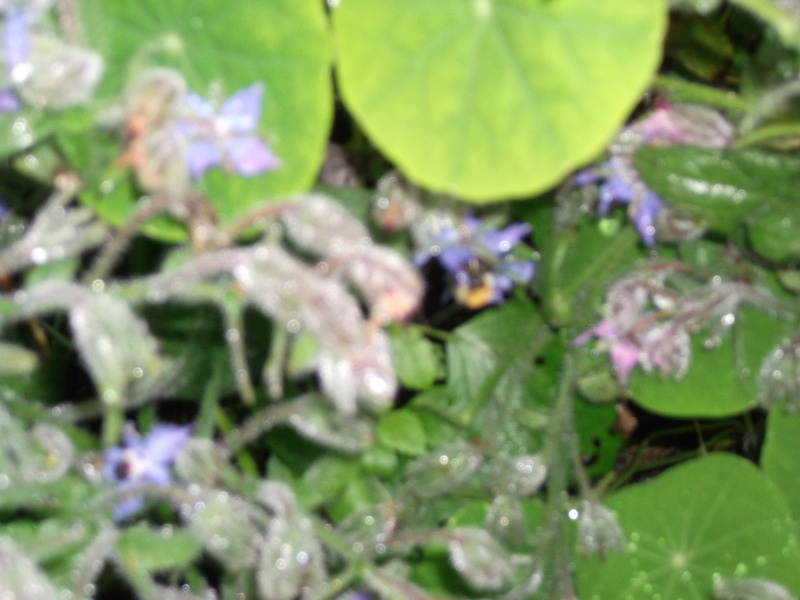 A little fuzzy.....Or should that be buzzy? Borage has often been planted by beekeepers as a forage crop for their hives and is also an excellent companion plant, as planting it close to tomato plants may repel whiteflies and tomato moths. As a herbal medicine, it has been suggested that Borage has a therapeutic value in treating dry itchy skin such as eczema and psoriasis. The leaves can be used as a poultice for sprains, bruises and inflammation……. but as far as I know, not bee stings!! Previous BUILDING A DREAM AN ALTERNATIVE WAY CONTINUED Next ITS ELECTRIFYING !! Oh I have been wanting to try that newpapers on the grass thing. I have spent so many hours digging up sod to make beds–this new method has to be better. I’ll be trying it. Thanks!